WHAT: We genuinely couldn’t tell if this was part of some planned performance or just one guy who really, really appreciates cherry blossoms. Either way: don’t. 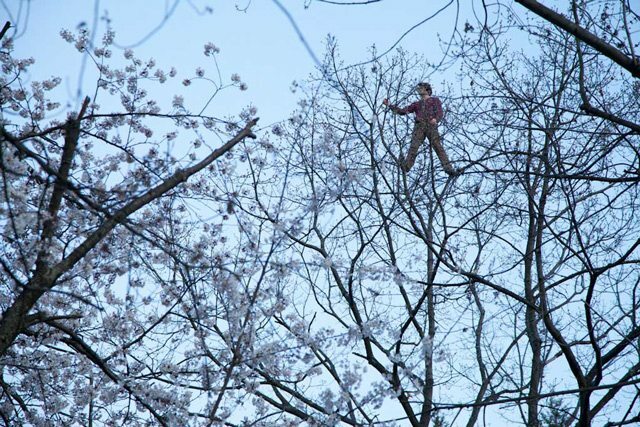 We like the Sakuras as much as anyone, but you are taking your trees too seriously right now, guy.